Mugwort (Koj ntshuab) translate to green boat. 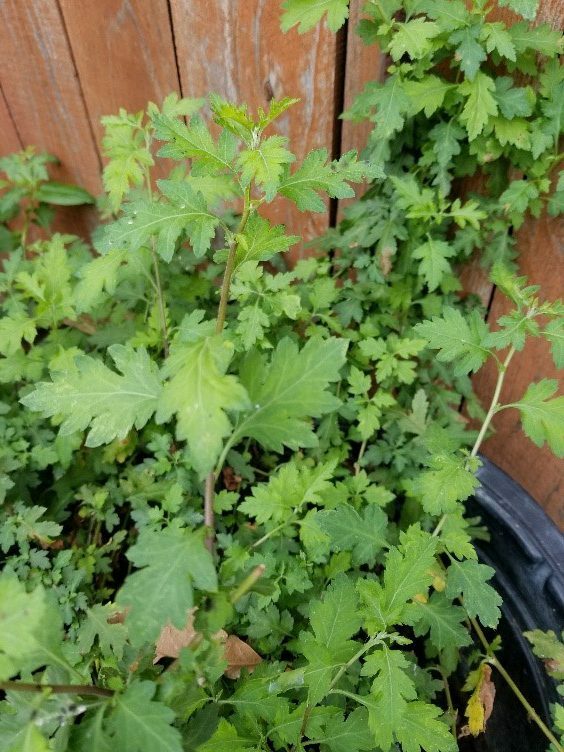 pick 4 or 5 leaves of this plant used in the chicken soup. It’s good for food poisoning. (Zoo tsuaj piv.) Those of you that know more please let me know, thanks in advance. We can all learn together.